Looking for complete access and control over your data? You have come to the right place. At ZolaHost, we design a Virtual Private Server or VPS hosting for you to cater to your specific needs. 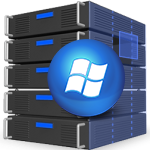 Our packages are designed to outgrow your existing web hosting plans and provide a fully managed Windows VPS. That will give you a greater freedom regarding installation of SSL certificate, root access to PHP and Apache, all without the dependency on a physical dedicated server. Hard Disk Total Storage Space for your server. Virtual Server : At Zola Host, we provide Windows VPS for e-commerce sites, storefronts, media sites as well as for contents including software applications like collaborative solutions, portals, CRM, and extranet. Our aim is to make the entire process easy for you to access your data on the virtual server. With our VPS system, you can grow your system configuration according to your requirements for applications. Flexibility : We have a range of individual virtual server bundles. Each one of them provides a different level of RAM, CPU, and HDD along with unlimited traffic. From 1GB of RAM to 4 TB of Bandwidth, from 1vCore CPU to 200 GB of Disk Space, our package includes different hosting assistance, suitable for your needs. The best part is that you can switch from one package to another, at any time. Just call or email us and we will be happy to help you. Secured : Although we, at Zola Host, provide a dedicated, ready-made control panel as well as development environment for management, deployment and supervision of your website, along with each one of our hosting packages. And for an uninterrupted operation, we offer a free DDOS Mitigation process. Our team uses state of the art network appliances to detect any kind of intrusion as well as to stop attacks. Our level of protection includes layer 3, 4 and 7. Monitoring : Our Windows VPS hosting services help us to monitor HTTPS, HTTP, IMAP, SMTP, SMTP SSL, PING, DNS, POP3, HTTPS Custom Script and HTTP Custom Script. We always make sure that your system runs smoothly without any interruptions. We always monitor the services in regular interval and hence, we are immediately notified if any of these systems have gone offline. Our team takes all immediate actions to keep your system online, all the time. At Zola Host, it is our pride that we ensure a 99.9% server uptime guarantee. Best Support : At Zola Host, it is of our prime concern that our clients get complete assistance from us. Regardless of the time of the day, we will be there to help you 24/7/365 days a year. Our prime focus is to provide you and your business continuity. Even if you are in need for an answer to any of your queries regarding your Windows VPS package, we will resolve your questions without any delay. We are available via email, live chat as well as through phone. We will be happy to help you with any required support for your VPS system.